Nina’s latest book Angel of Chaos (Dragon Moon Press) was selected as a finalist for the Foreword Magazine Book of the Year Award for 2010 in the Science Fiction category. 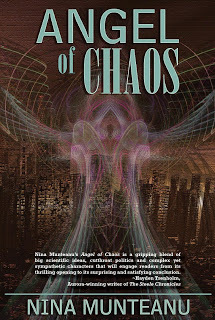 Angel of Chaos is the first of a duology on humanity’s co-evolution with intelligent technology and intelligent nature. The second book is Darwin’s Paradox and both are available on Amazon, Chapters, and Barnes & Noble.